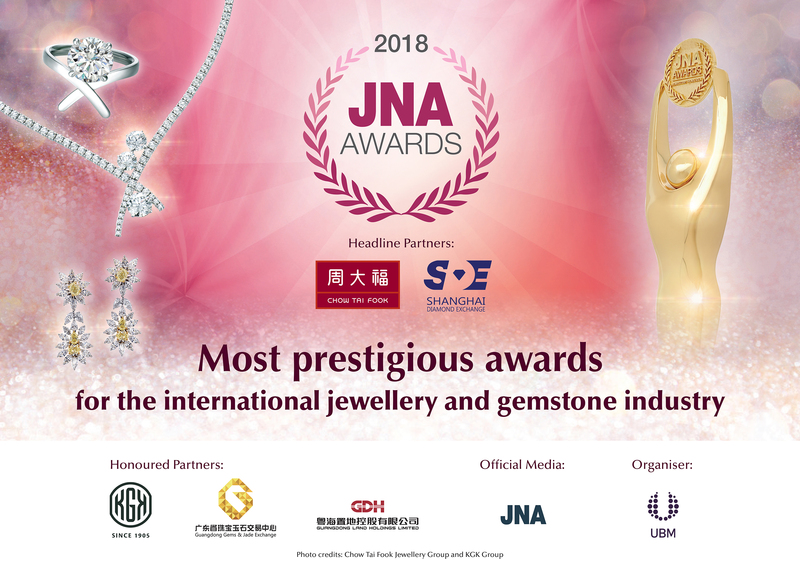 HONG KONG, Nov. 2, 2017 – Chow Tai Fook Jewellery Group and Shanghai Diamond Exchange (SDE) continue as proud Headline Partners of the prestigious JNA Awards 2018. While the KGK Group, Guangdong Gems & Jade Exchange and Guangdong Land Holdings Limited (GDLAND) are returning as Honoured Partners for 2018. 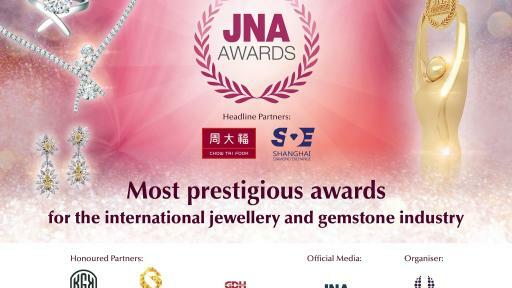 The JNA Awards is recognised as one of the jewellery industry's most respected awards programmes. 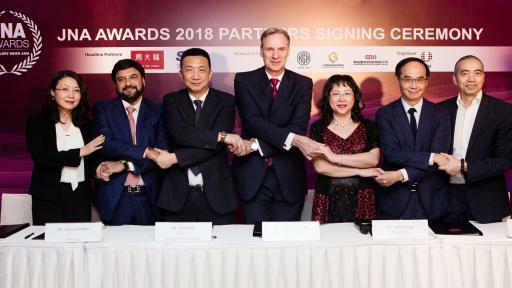 The partnership renewal signing ceremony took place during the Awards gala dinner in Hong Kong on 14 September, which was attended by more than 500 of the industry's most influential and established players. “The JNA Awards is a platform that recognises innovation and excellence in the jewellery industry. 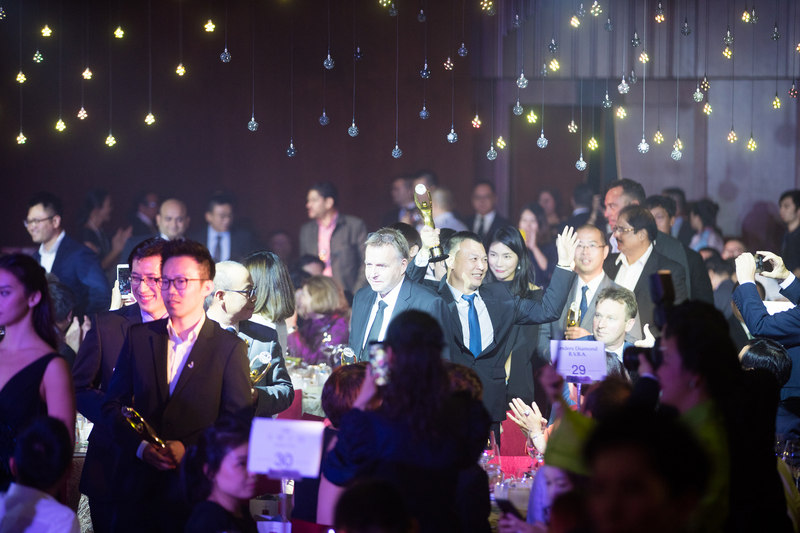 Being an industry pioneer, Chow Tai Fook is very proud to remain as a Headline Partner for the seventh consecutive year, and is looking forward to collaborating with fellow partners who share the same mission,” Kent Wong, Managing Director of Chow Tai Fook Jewellery Group, shared. “SDE is honoured to once again be associated with the JNA Awards as a Headline Partner. We continue to support this prestigious programme in recognition of its invaluable efforts to drive the jewellery industry forward. 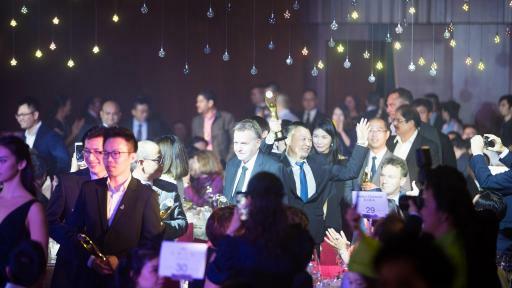 The JNA Awards also aptly represents what we aspire to embody every single day -- excellence across all aspects of our business,” remarked Lin Qiang, President and Managing Director of SDE. 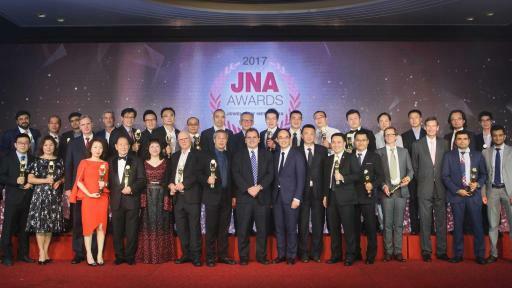 “The KGK Group, which continues into 2018 as an Honoured Partner, is proud of its association with the JNA Awards. KGK is delighted to actively take part in initiatives that stimulate industry growth and inspire creativity,” according to Sanjay Kothari, Vice Chairman of the KGK Group. The JNA Awards 2017 Ceremony and Gala Dinner, held on 14 September, was a success with 20 Recipients honoured across 11 categories.